Who doesn't love trying out a new recipe?! We've compiled a few recipes that we think look pretty tasty! 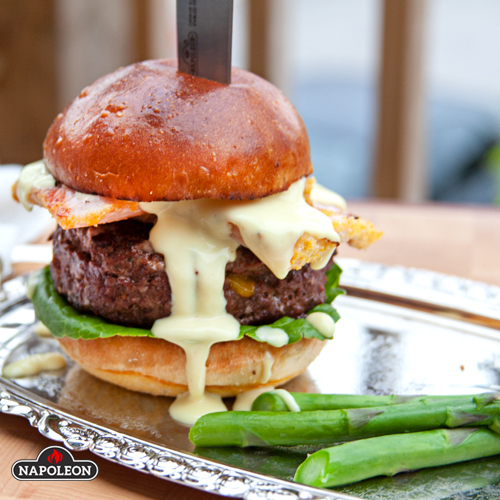 This burger looks messy but it sure looks appetizing as well! Besides, who doesn't love breakfast for dinner?! Take a look at the entire recipe by clicking here. 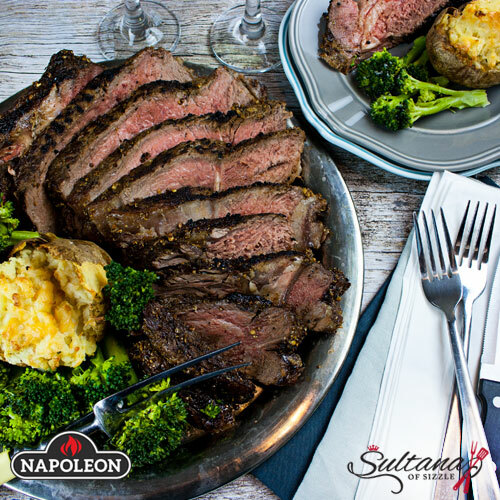 Napoleon states that after trying this prime rib "you will never cook it another way again". Wow! That definitely caught our attention. There's also no need to worry about purchasing lots of expensive ingredients... there's only three: Prime Rib, Salt and Black Pepper. 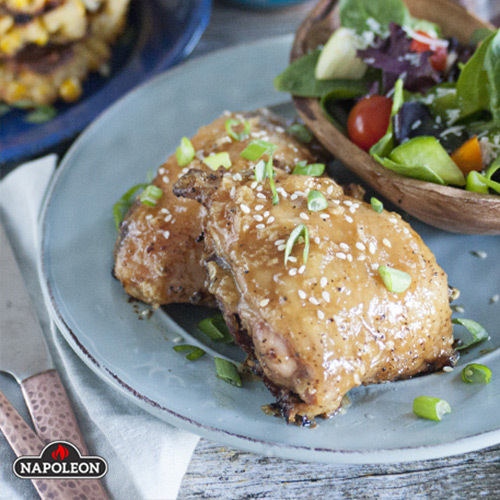 We certainly love Maple in Canada and this recipe is a great way to implement it into your next chicken dinner! Preparation time is only 5 minutes, making it a simple meal to put on the grill. Embrace your inner Canadian and try this sweet treat for your next dinner! The barbecue isn't just intended for meat! 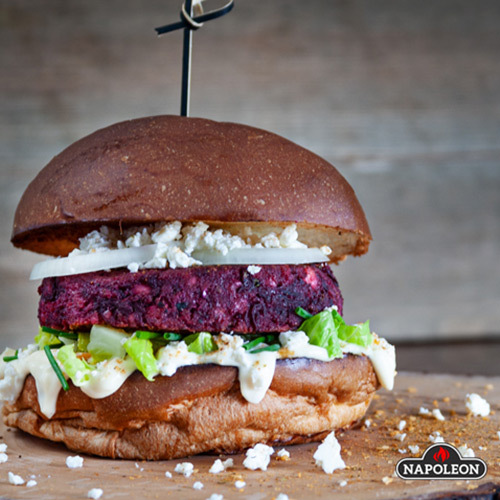 Try out this vegetarian friendly meal by swapping out meat for beet! You heard us right... this alternative is promised to be a tasty way to try a meatless meal.